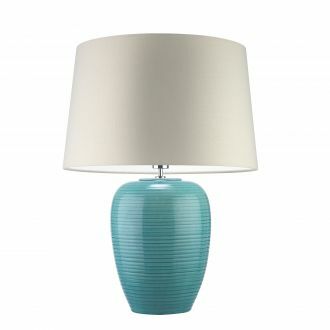 A linear reeded ceramic table lamp with a turquoise glaze base. Each base was hand modelled and then slip cast using traditional manufacturing techniques. 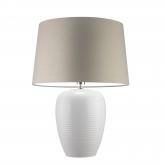 Shown with a ivory linen Compton drum shade.